Bollywood actress Sonam Kapoor promoted her movie ‘Neerja’ at National College in Mumbai on February 12, 2016. The actress looked splendid in a yellow sari. 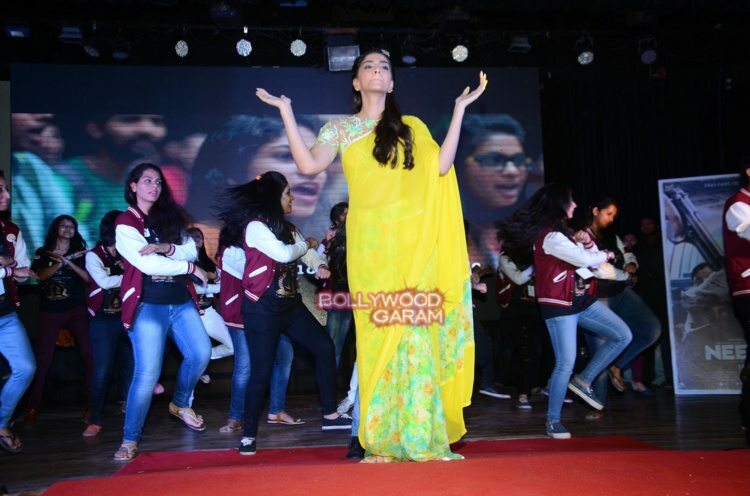 Sonam interacted with the audience at the promotional event and also danced along with the students on the stage. The actress also donned the college jacket and took home a special souvenir. The movie ‘Neerja’ is all set to hit the theatres on February 19, 2016.